I was asked about putting paper cones over the removeable plastic cones. 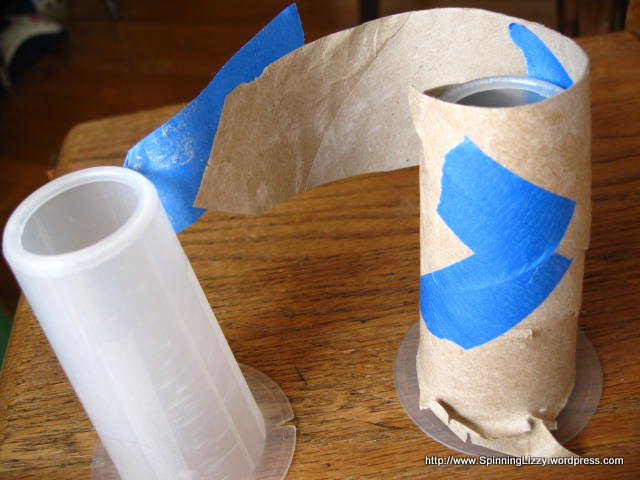 It’s possible with the toilet paper tubes, but it takes three tubes to make two cones. I don’t bother with making flanges, as I’ll use the ones on the plastic cone. 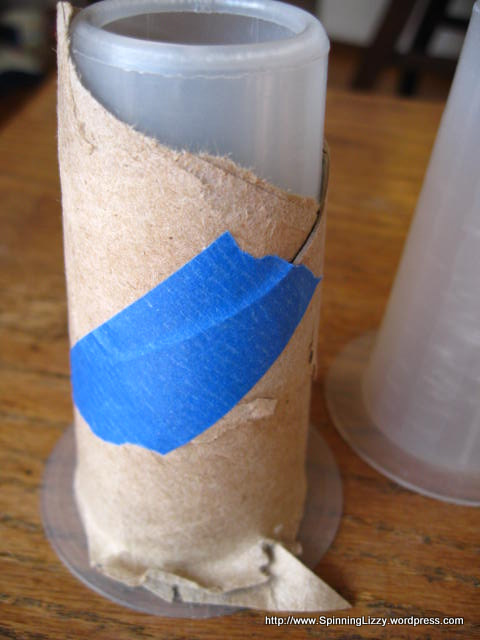 Use a second unwrapped paper tube, and add it over the uncovered areas; you’ll be able to cut off enough from the second tube to patch up a second cone. Put some tape on the inside (sticky side out) to tape the papers together. Take the tube off, and trim the excess from the top and bottom. I wrapped very tightly, so a firm tug was needed to remove the paper from the plastic cone. 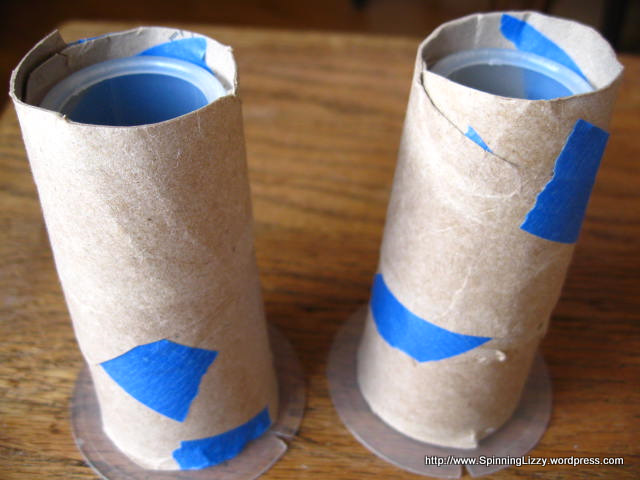 The finished paper cone must be used with the plastic one, as it is too large to fit the cone winder directly.